Once in a while, I use my phone as a phone. Yeah, it still happens. I make calls to other phones without any apps and, moreover, I even get called back on my phone’s phone number. It even gives me a nice nostalgic feeling, like “This is what I did with my first phone!”. But sometimes we really do not want or cannot pick up the phone. Some people get called from work on off-the-clock hours and other people handle break-ups by constantly calling their exes (drunk). 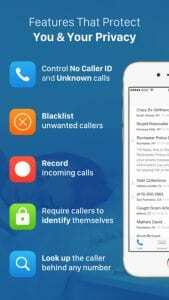 So, we need best call blocker apps for iPhones and Androids. 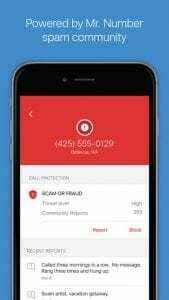 Truecaller is one of the best call blocking and spam protection apps both for Android and iOS. This app has achieved over 100 million installs on each platform. First of, an app has to tell who is calling so the app has a contact’s list and you using that list you can make calls like with any other call app. You can even see when your friends are free to talk. 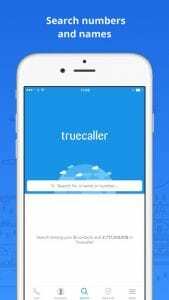 In other words, Truecaller can be used as a replacement for your phone app. 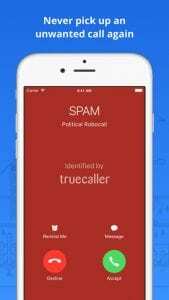 When it comes to actual blocking, Truecaller has an excellent database of spam or unsolicited numbers. 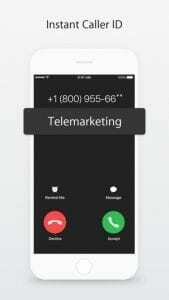 Thanks to that, users can see when one of these numbers are calling. Strong with every feature, this is an app from a big company and always up-to-date. This one works so well some people simply won’t use anything else. Mr. Number also conveniently offers users a reliable database of pre-determined spam or unwanted callers. The spam-related numbers are automatically filtered out and this information is displayed later. 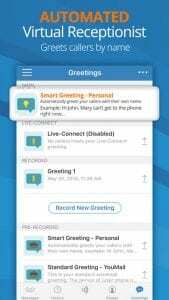 The app has a long history and you would expect all the updates make the app invincible when it comes to blocking SMS messages as well as calls. Unfortunately, it is still not that perfect, though, but Mr. Number does block calls of course. Still, this is a solid option to consider, and regular updates will surely make it better yet. Hiya come to you from the same people as Mr. Number. You should expect to get the same features as well. 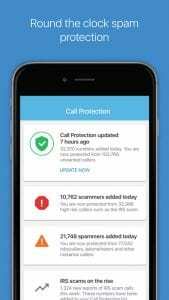 Whoscall assists the iPhone user with identifying the source of calls and messages coming from the numbers that are not in your contacts. 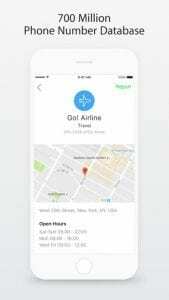 Fast phone number search and offline accessibility are there too. The app has about 700 million phone numbers world-wide in the database, making the search for a particular number easy and fast. The simple name for this app reflects its simple nature. This is an app designed to get the job done without any hassle or extra features. 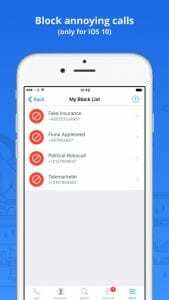 With a clean Material Design interface, Call Blocker quickly allows the user to easily manage their nuisance calls, thanks to Blacklist and Whitelist features. 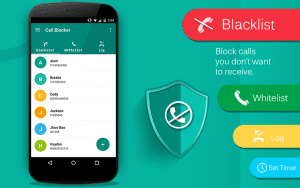 On top of this, Call Blocker also offers block timing, that allows users to get some peace and quiet exactly when they want it. And the app has a log of these calls, too. Should I Answer? is another simple app with quality proven by millions of downloads. It’s completely free and aims to be as subtle as possible, rather than trying too hard and being more of a nuisance than the unwanted calls. 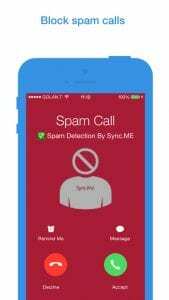 The app offers up a shared database of known nuisance callers and spam numbers, which allows you to rely on double-checked knowledge from other users that have gone through the same calling troubles. That database is augmented with a built-in private blacklist feature that users can expand whenever they want. 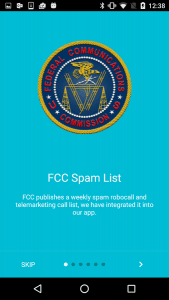 A more professional call blocking app for Android, Extreme Call Blocker is integrated with the FCC Spam List. Surely it also allows users to create their own blacklists to block friends, work or worse. 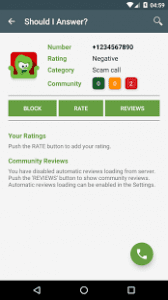 Extreme Call Blocker does have a high price tag, but it is worth it considering developers’ support among other things. One last thing: the app updates its spam list quite often, so this might be a pricey way to go, but definitely a solution. 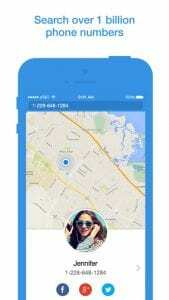 Sync.ME offers the required features to protect you from unwanted calls. 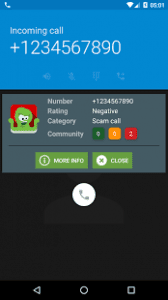 The app identifies unknown numbers, warns you of spam calls, and even adds a caller photo to your contacts using Google+, Instagram, Facebook, and Twitter. When you miss a call the app will tell you who called you. It also automatically blocks the detected incoming spam, such as telemarketing calls. There is no need to open the app to identify unknown numbers because that’s what a new Notification Center widget does. 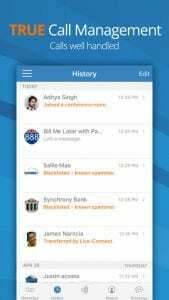 If you like is so far, there is also a variety of premium features to pimp the app. This is some serious stuff. With YouMail, you kind of get a personal assistant, makes your life easier. Of course, it gives you a variety of features like playing a “Number Out of Service” greeting for telemarketers and robocallers. This will probably remove you from their lists as well. 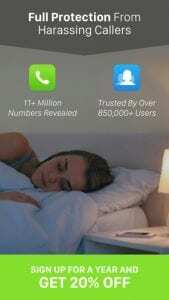 Ignoring calls from unknown numbers is just the app’s work. You do not have to block calls one at a time. 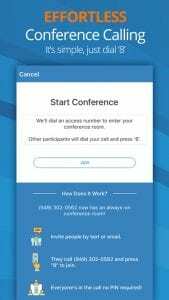 The app also enables you to have conference calls, set up an automated virtual receptionist that would even greet callers by name or use a customized greeting. The real useful feature is the one that allows you to increase the size of your voicemail service’s inbox. 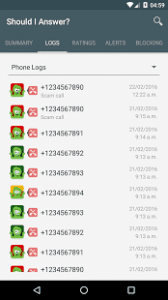 TrapCall always tells you who is calling, they can’t hide behind Unknown Number, Blocked Caller, and No Caller ID tricks. You can protect yourself by getting the info you need to file police reports, keep track of digital stalkers. 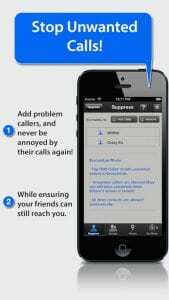 TrapCall does a cool thing where you get your voicemails sent to you as text or SMS or simply emailed to you. An in-app purchase will enable you to record your incoming calls as evidence. You are only required to decline unknown or blocked calls and to send it to TrapCall. 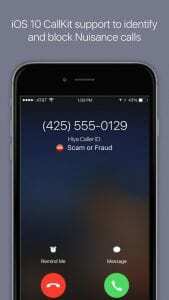 TrapCall sends the call back to your phone with the bad guy’ number shown. Moreover, you can even have the name and address connected to that number sent to you by text. 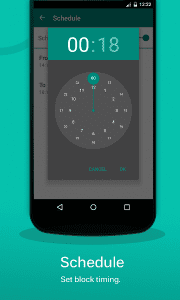 Call Bliss lets you decide whose call gets through and whose gets silenced. You can start with creating groups of callers like Family, Friends, Enemies, Knitting Bros and allow or silence them as you wish, with just one tap. That can also happen depending on your location. 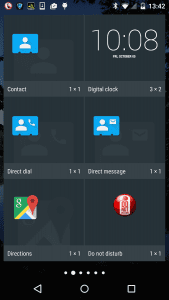 You can put unwanted callers on the ExcludeList, send all calls to voicemail with Suppress All Callers feature. This app is picky, though, requiring iOS 8 or later. The Do Not Disturb function doesn’t block calls; callers can still leave voicemails. And it costs $9.99. 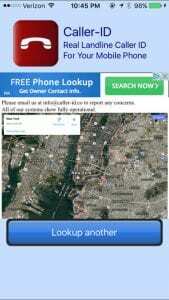 Caller-ID is a free identification service that comes up with names of phone number owners who that just called you. 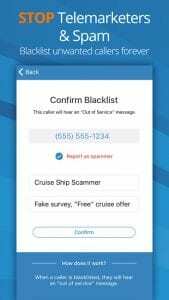 Some cell phone carriers don’t offer full caller ID services which is different with this app: you just enter the number into the app and you will see the name registered to the number. The app works for numbers in Canada and the United States only. This surely helps when you are trying to block a caller. This is enough call blocking apps to block the President away. Don’t forget to unblock yourself free once in a while.